Sentinel Returns was the entirely unexpected sequel to 1980s computer cult puzzle game The Sentinel. 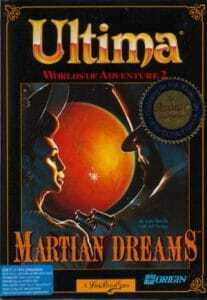 That 1986 title was one of the first games to feature solid-filled 3D graphics. Its successor wasn’t as revolutionary, but it still had a striking visual appeal all of its own. The world of Sentinel Returns was an entirely surreal one, unsettling and gloomy. It was full of bizarre flesh-meets-metal inhabitants that only had a vague resemblance to real life objects. 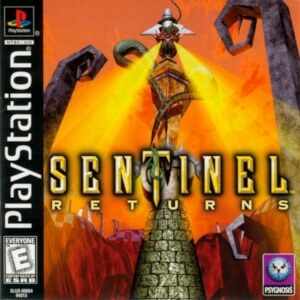 Sentinel Returns might have been a puzzle game, but its world was that of a nightmarish horror title. It’s no surprise then that horror maestro John Carpenter’s Sentinel Returns soundtrack is a perfect fit for the game. However, Carpenter’s involvement in Sentinel Returns is still a bit of surprise. Remember, Western movie composers crossing over into video games was still an absolute rarity in 1998. 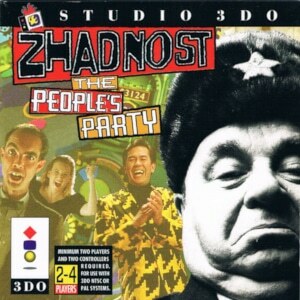 Zhadnost: The People’s Party is one of those games that could have only emerged in the mid-1990s – that heady time when CD-ROM technology was still fairly new and game developers were trying to figure out what do with it. Often enough, the extra storage space would simply be filled up with a Red Book audio soundtrack (The Terminator). Other developers discovered their cinematic ambitions and turned their games into wannabe-movies and full motion video bonanzas. Zhadnost: The People’s Party more or less follows that second approach, but it uses FMVs to realise its very particular vision of a whacko communist game show whose contestants compete for their freedom after having been kidnapped by the totalitarian nation of Bizarrnia. Yes, they don’t make them like they used to. 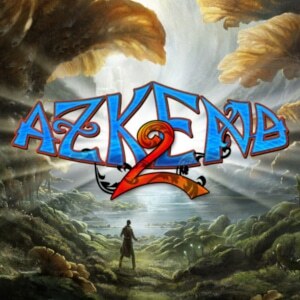 It’s not the sort of game that you would expect to generate a great soundtrack. Praise be to George Sanger and his collaborators David Govett, Joe McDermott and Weston Phelan that the Zhadnost: The People’s Party soundtrack turned out to be such an unexpected delight (and actually received an album release as Surf.com). Their solution to the problem of how you’d score a communist game show certainly defies expectations: surf rock.